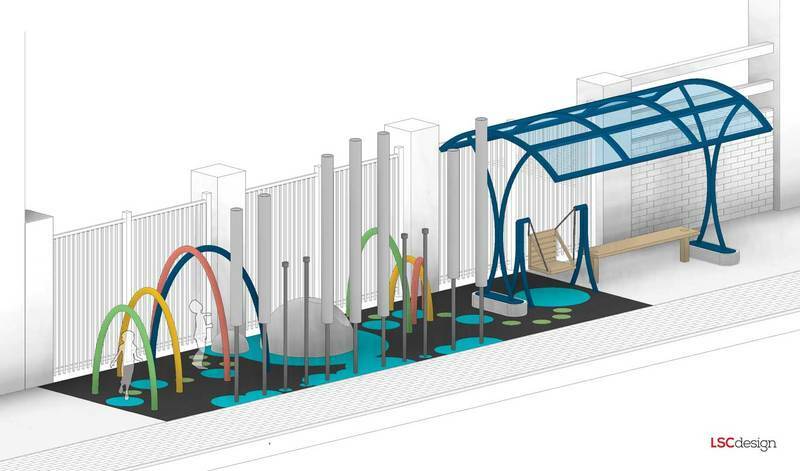 Play Everywhere gallery of completed projects | KaBOOM! Goodbye boring commute! BUSt! 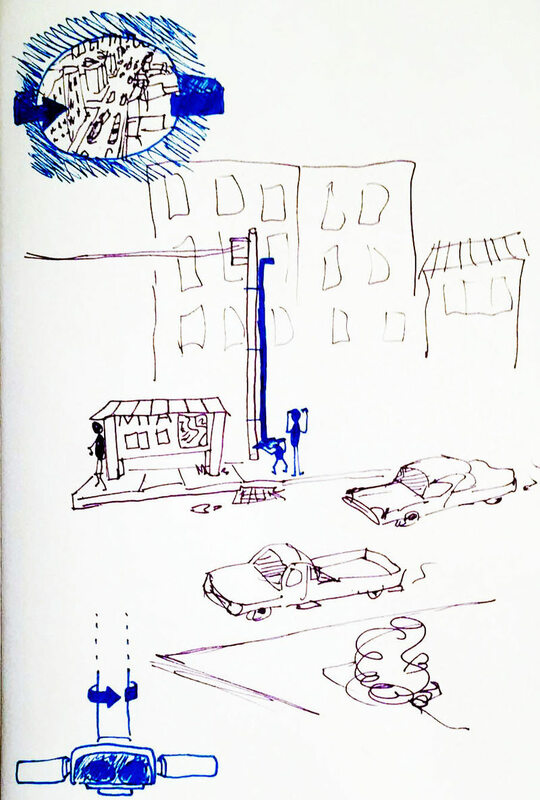 Boredom offers Lexington, Kentucky, transit riders access to visual art installations and creative programming during their wait for the bus. 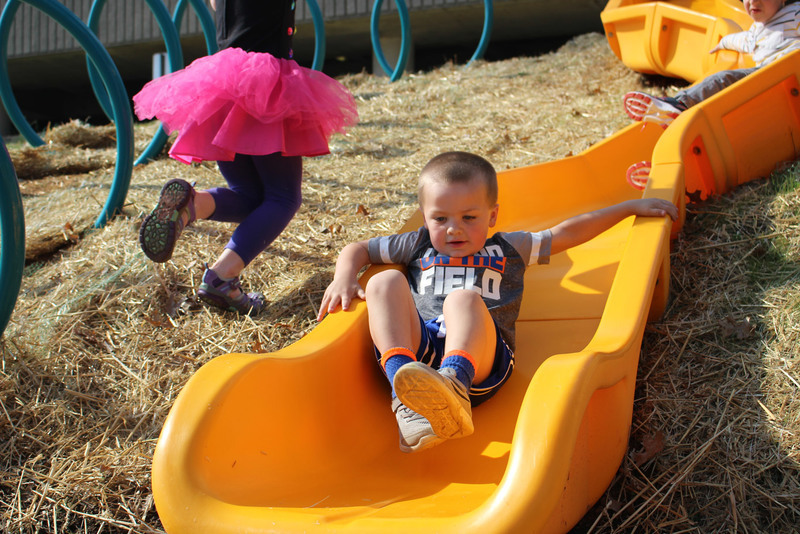 Knoxville Slides takes advantage of the city’s hilly landscape to promote exercise through play. 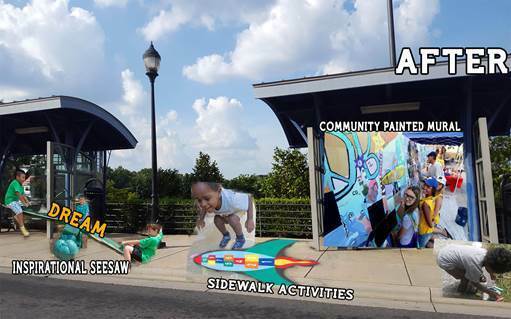 The JUMP Playspace uses murals and games to turn a bare, uninviting gateway in Decatur, Georgia, into a dedicated space for creativity and play. 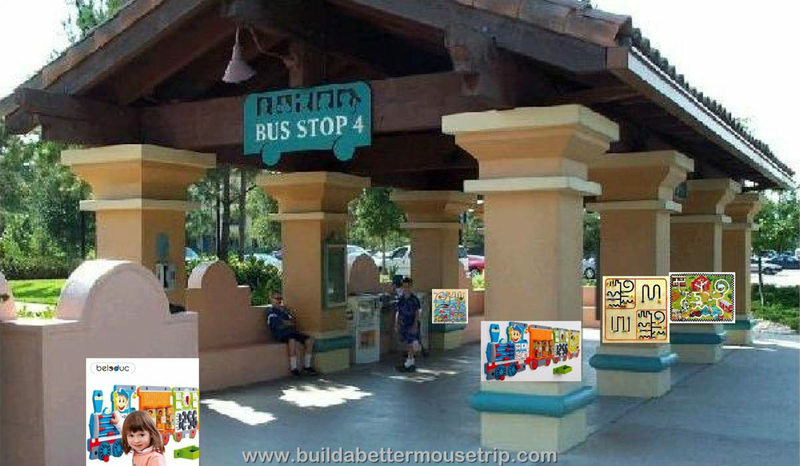 A busy bus stop on a barren landscape is transformed into a fun, exciting space for low income kids and their families. 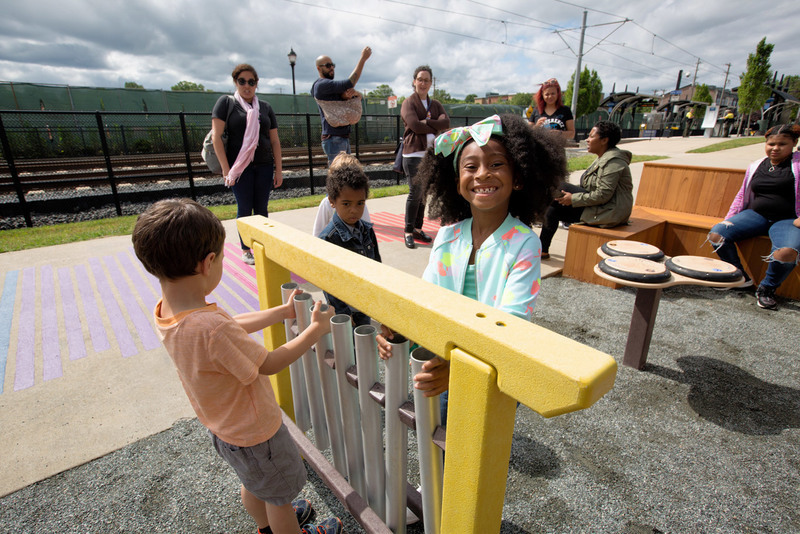 Rail Trail Symphony is a colorful installation of musical instruments that encourages collaborative jam sessions with neighbors along a busy corridor. 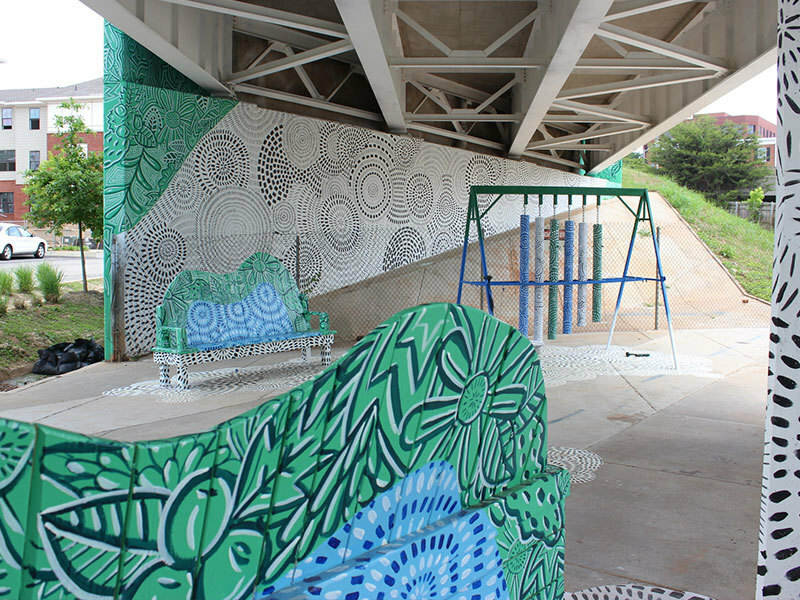 Art meets play at a local bus stop and park in Charlotte, North Carolina. 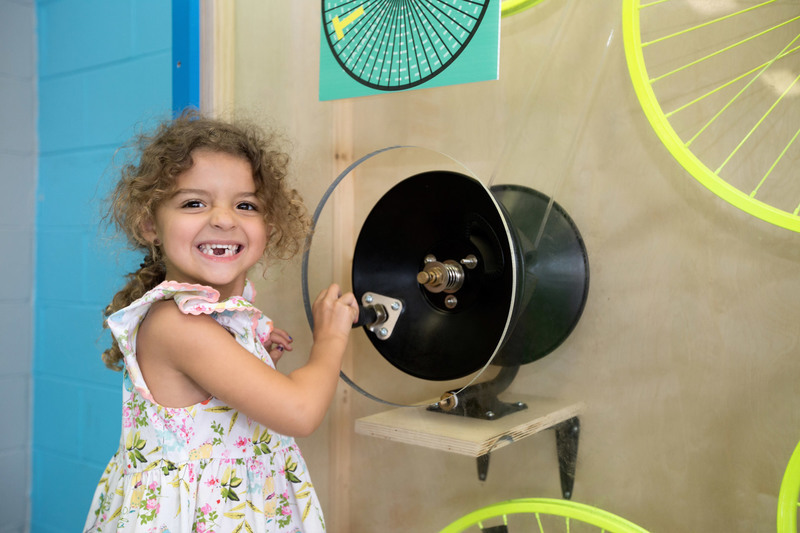 Urban Periscopes offers kids unexpected views of East Harlem’s past, present and future. The Veteran’s Memorial Bus Stop in McFarland, California, gives families the opportunity to “play” in unexpected places.